When meteorites are mentioned the vision that often appears in the mind is that of the big iron meteorites seen in museums. Often these are large iron meteorites. 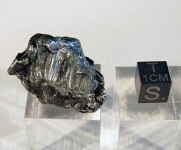 But, iron meteorites are actually far scarcer then the ones of the stone type. As with all the meteorite families there are many subgroups in the iron meteorite family. The easiest way to see the differences is often to examine the pattern that has been etched into the polished surface of a slice. But, there is nothing quite as neat as the shape of a whole iron meteorite. So to satisfy both these requirements we have slices and whole individual meteorites for sale of a nice selection of iron meteorites. We have a limited number of wonderfully prepared Taza Meteorite Slices for sale. The Taza meteorite was found in 2001 in Northwest Africa and is officially known as NWA 859. This meteorite is a nickel iron meteorite classified as a Plessitic Octahedrite, Ungrouped. There has been a lot of Russian Meteor News since the meteor event on February 14, 2013. Two days and 66 years earlier on February 12, 1947 there was another major fall in Russia and you can visit our Sikhote-Alin Meteorites For Sale page to see our specimens for sale. 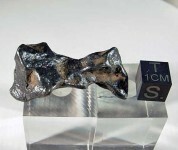 Sikhote-Alin meteorites have thumbprints or regmaglyphs what make iron meteorites look so distinctive in museums. Sikhote Alin individuals have this characteristic in miniature and make impressive collection specimens. Naturally sculptured by their passage through the atmosphere these iron meteorites are real beauties. The Canyon Diablo meteorite is named after the river gorge near Meteor Crater. 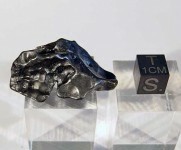 They are among the most historically significant meteorites available to collectors. Canyon Diable meteorites are made of nickel-iron with inclusions of graphite and other minerals and classified as a coarse octahedrite iron meteorite. Many of the smaller fragments show the effects of being torn apart by the tremendous crater-forming explosion. We have a nice supply of Sikhote-Alin Shrapnel For Sale. These pieces of torn and twisted nickel-iron metal were ripped apart by tremendous force when the comic body hit the Earth.